Our Father in heaven Hallowed be Your Name MELEK HAGOYIM King of the Nations 1 Tim. 6:15 Thy Kingdom come. Thy will be done. On earth as it is in Heaven. “The earth is the LORD’s, and all its fullness, the world and those who dwell therein,” Psalms 24:1 (NKJV). We come before heaven and earth to declare that Britain is the LORD’s and the fullness thereof! You said that if we agree as touching anything that it shall be done of our Father which is Heaven! We agree together that wheresoever the souls of our feet shall tread shall be Kingdom territory! You said that we should ask for the heathen for our inheritance and we ask you for souls for the Kingdom! We ask that you will raise up out of your church, labourers to go into the harvest and that you will send them to those for whom we intercede! Father, we give you glory for the renewal that is coming to Britain! 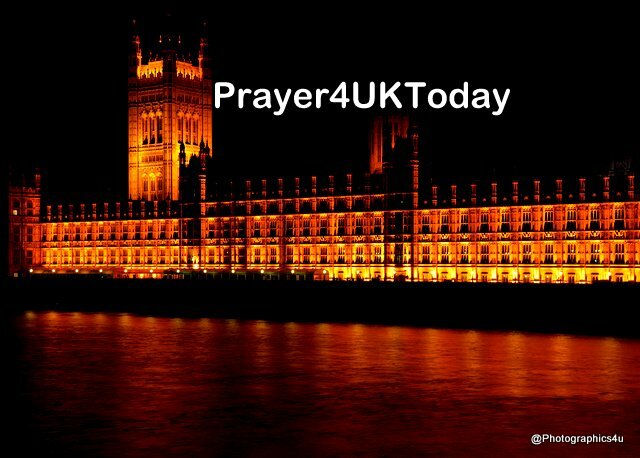 We give you praise for uncovering any plot or plan of the enemy to destroy Britain and take God out of our Country! We bind Hell’s plans to disrupt, discourage, destroy, or devastate this country with it’s demonic agenda! We ask that you remove any person, system, or group that is in agreement, or is in tandem with the plan of the enemy! We ask that you root out the treacherous and wicked men and women from our government and replace them with Godly men and women who will hear your voice, obey you, and take action! LORD, you have given us Authority as the ruling Eklesia of God in the earth. Help us to not draw back on our mandate as the church that Hell shall not prevail against! We say that Jesus and only Jesus is LORD over Britain! Please pray and share with your intercessors, Bible Study Groups, Prayer Groups, Church Prayers, Men & Women’s Grotups. Thank you.